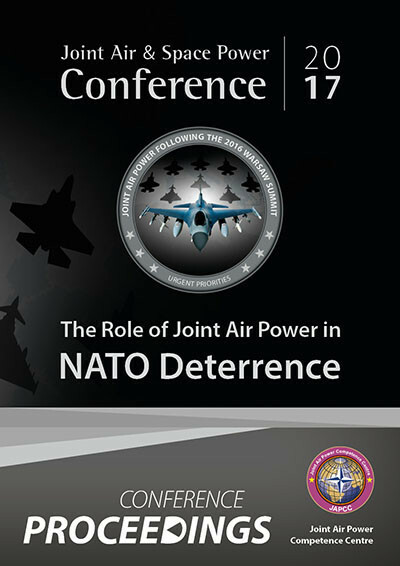 Keynote speakers set the scene by stressing the complexity of the current strategic environment and the myriad challenging, often interrelated, threats that NATO faces in a 360-degree periphery. Such challenges highlight the need for a refocussing of NATO’s posture back towards collective defence and deterrence after recent decades of focus on crisis response and the projection of stability in expeditionary, out of area operations. Air power’s unique strengths of providing control of the sky, pan spectral situational awareness (ISR), rapid global mobility, precision kinetic effect and command and control prove that it must remain at the heart of the Alliance’s deterrent posture. However, this places a heavy reliance on having capable, high readiness forces which are both well trained and robustly sustained. It was highlighted that training and exercising do not simply serve to improve military preparedness, but the messaging regarding such preparations has an extremely powerful deterrent effect of its own. The urgent need to rethink NATO’s exercise strategy and to start exercise play on Day 0 rather than Day 100 (or later) was repeatedly reinforced. As fiscal challenges within individual NATO nations continue to place pressure on defence budgets, it is more important than ever for the Alliance to act together and cohesion remains an absolute necessity. Potential adversaries know this and are likely to have identified Alliance cohesion as NATO’s centre of gravity. Potential foes will look for any opportunity to exploit cracks or fissures between Alliance members and NATO must remain acutely aware of this threat. Conversely, for NATO’s deterrent posture to be effective, it must possess the ability to rapidly threaten adversary centres of gravity and hold them at risk; as NATO‘s ‘first responders’, air power is uniquely placed to undertake this role. At the highest levels within NATO there is now a renewed drive towards Collective Defence and there is a recognition of the criticality of achieving a robust deterrent posture. The notion of NATO having the right forces available at the right readiness states, all with the requisite resilient and proven logistic support chains in place has been summed up by the drive towards delivering a ‘sustainable deterrent effect’. The themes of persistence and resilience are likely to run throughout NATO’s new Joint Air Power Strategy which is currently nearing completion. In bringing all these threads together, it was stressed that one of the keys to addressing the challenges of today and tomorrow was the need to adopt a multi-domain approach to problem-solving. It was therefore appropriate that a short post-Conference briefing was held on the results of a tri-national (US, UK and France) study into how best to approach the issue of Multi-domain Command and Control (MDC2) in the future. Tellingly, almost all Conference attendees chose to stay and listen to the brief.